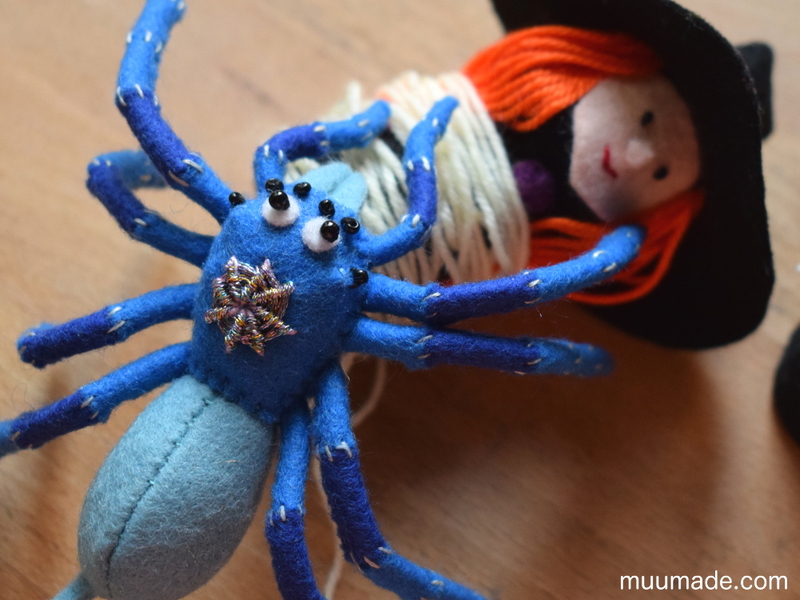 Muumade’s A Little Felt Spider is a sewing pattern & tutorial to make a felt spider, which is approximately 10 cm (4″) long from the tip of pedipalps to its spinnerets, and 10 to 16 cm (4 – 6 1/4″) wide depending on the angles of its legs. Yes, spiders are a bit creepy. But when I started to study them while designing the Little Felt Spider, I discovered that some are rather beautiful! I mean, just look at their bright colors! Even their eight eyes are pretty in their own way. 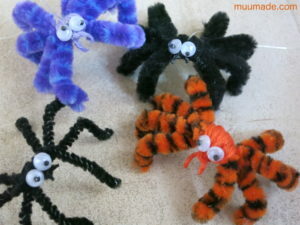 So, I made sure to include eight cute beady eyes in my design of the Little Felt Spider. But do they still give you the shivers? 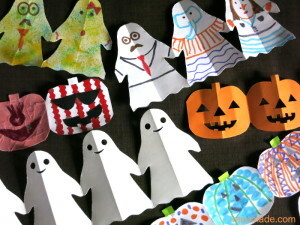 Then, you can omit the six small eyes and keep only the two main ones in the middle when you make your own Little Felt Spider. After all, I learned recently that not all spiders have eight eyes (although most do). Another detail that I incorporated into the design is the hair on the Little Felt Spider’s legs and pedipalps. The stitches around their joints are intended to imitate the hairy legs and pedipalps that some spiders have. But, once again, you can give your spider smooth hairless legs and pedipalps if you prefer, by simply omitting the stitches. 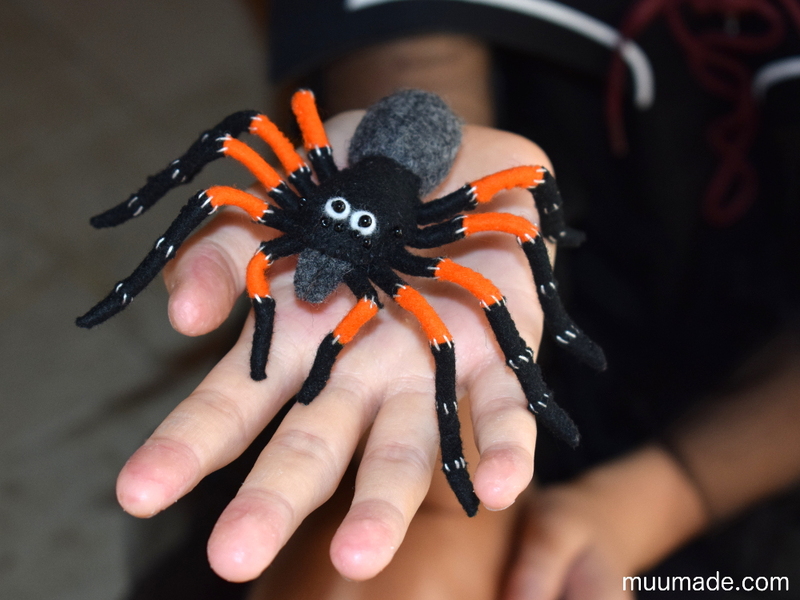 Lastly but not least importantly, a stuffed animal spider must have eight wiry legs to look realistic! 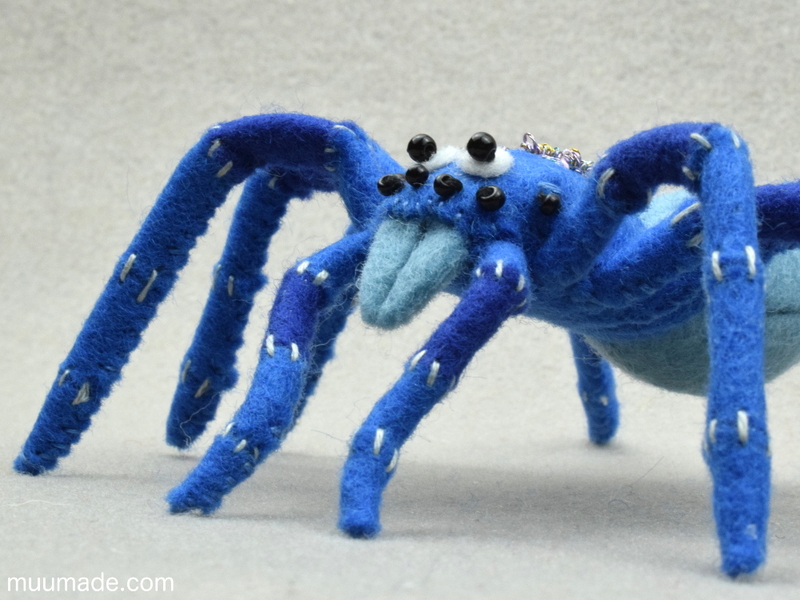 That is why I designed the legs and pedipalps of the Little Felt Spider to be bendable. 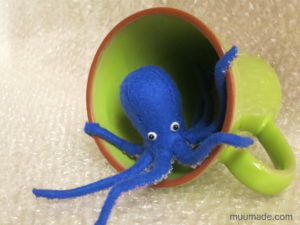 You can bend them in any way you wish to make your Little Felt Spider as spider-like as possible! By the way, in case you were wondering what pedipalps are, I can tell you what I learned recently, that they are essentially the spider’s arms. 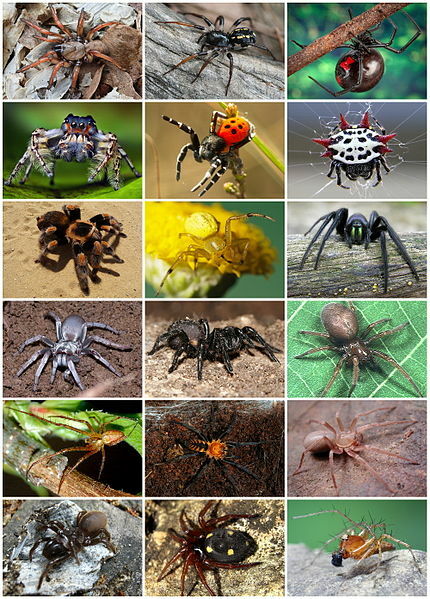 Some spiders have them nearly as long as their legs while in others they are small and short. Please feel free to change their length to better suit the pedipalps of the spider of your choice. Speaking of size, to make a larger or smaller spider than my original design, you can enlarge or reduce the scale of the Little Felt Spider‘s patterns when printing them out. 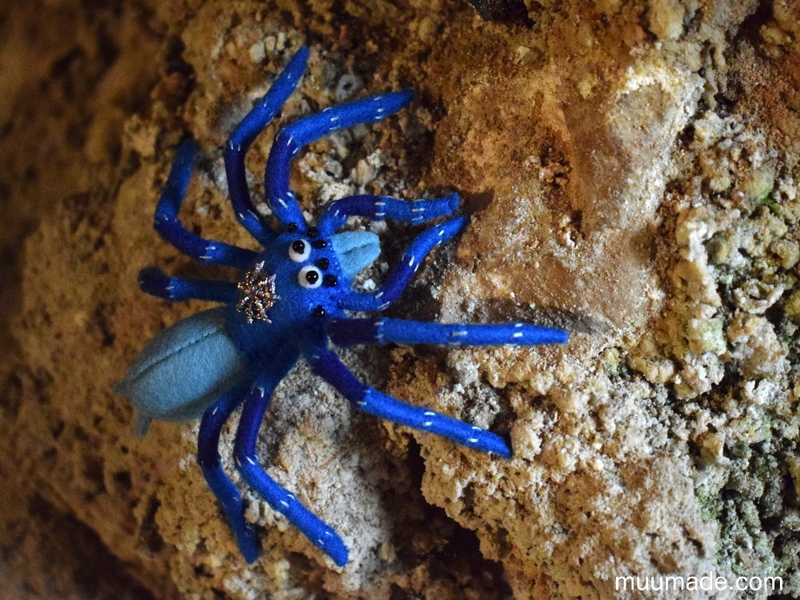 Please keep in mind that you will have to change the size of the craft pipe cleaners, as well as the beads for the spider’s eyes, in such cases. 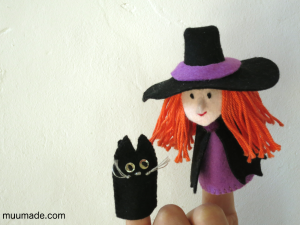 If you don’t catch the Little Felt Spider soon, it may get you first like it did Luna the Witch. She is all bundled up like Frodo was in that creepy cave of Shelob the giant spider in the Lord of the Rings.